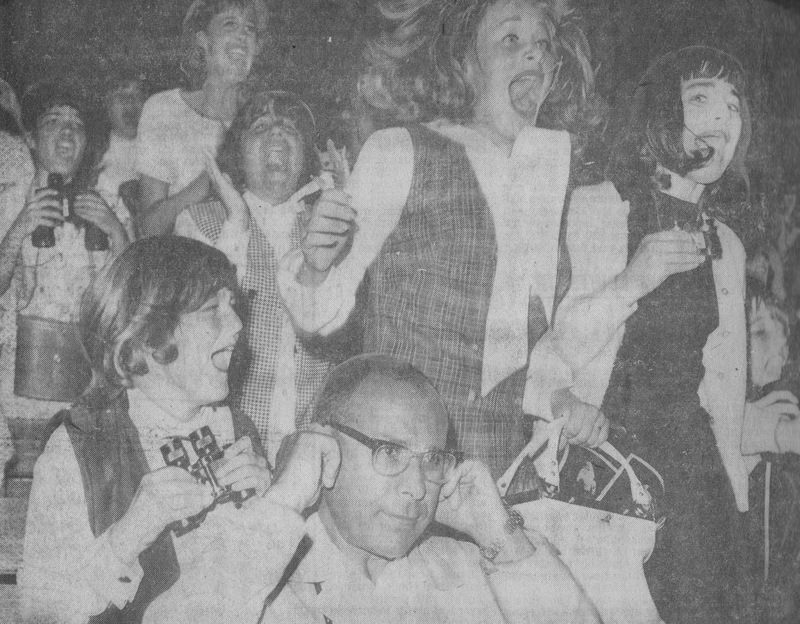 With all of the excitement of the new Beatles album, "Live at the Hollywood Bowl," I thought it would be fun to take a trip back to 1977 and see the reaction from fans during the release of the original live Beatles album. I have an arnenal of Beatles magazines and books in my basement, and so I went digging through the spring & summer 1977 files and was a little surprised to see that not much was written about the Beatles new album at that time. Was it because Paul was so busy with Wings during that time? Was it because new Beatles albums in 1977 weren't a big deal? I don't know. I did find one review tucked away towards the back of the May/June 1977 issue of "the Write Thing" written by Nina Goss. I found "Hollywood Bowl" to arouse greater emotion in me than I thought it would. I h ave my share of bootlegs, but the state of those recordings isn't even worth speaking about. "Hollywood Bowl" had much better sound than you would expect from the liner notes. With any Beatle performance it seems irrelevant to discuss how well they played or sang. I doubt the majority of Beatlemaniacs left concerts thoughtfully remarking that 'they really didn't do 'Ticket to Ride' as good as the album. 'Yet, for the 1964 performance especially, their playing does reflect welcome good spirits and john really knocks you out with the sheer power of his voice. For a while the screaming bothered me, until I realized the only reason was that my voice wasn't among the peoples' there. By the time the rendition of "Can't buy me Love" rolled around, I was in tears, because I know this album embodies something I will never really know, and something I would sacrifice everything to experience for five minutes. What was going on that night in August--while my mother was trying to toilet train me- transcended the boundaries of music and people going to a concert. Perhaps I never will know what it is to be 100 feet from performing Beatles, but this album accomplishes what Martin humbly suggests in the liner notes, it gives us a "clue". I remember Creem Magazine gave it a great review...got to #2 here in the states...and got to #1 in the UK back in May 1977.